At Palisades, we believe that preschool is the place where children are most likely to develop a positive attitude toward school – establishing a connection between their early learning experience and how they will respond to and pursue future educational endeavors. 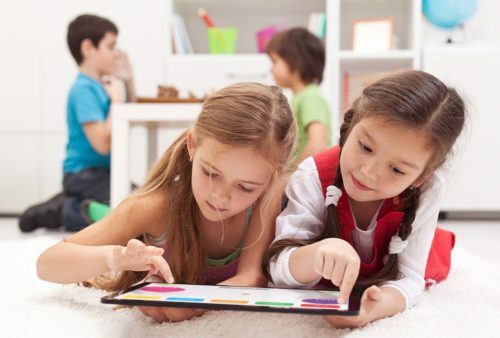 Our mission is to create the most positive connection possible, which is why all Palisades personnel are extremely sensitive to each child’s development, learning style, and way of being in the world. We offer each of our children a safe, secure and developmentally appropriate environment that stimulates creativity and fosters intellectual growth. Social, emotional and physical growth are all integral to the young child’s ability to learn. Our monthly calendars are carefully coordinated by the teachers and represent the important activities and specials that take place within the classroom. These calendars are sent home to the parents on the first day of each month, to be used as a guide. Our daily curriculum takes each experience into higher levels of learning. Children might use clay to mold dinosaurs, gather books on the subject, work on a dinosaur puzzle or share an item from their own collection for more discussion. Our academic program includes teaching letter recognition, beginning sounds, reading and math readiness. Each child will enjoy the stimulation and challenge that our curriculum provides.